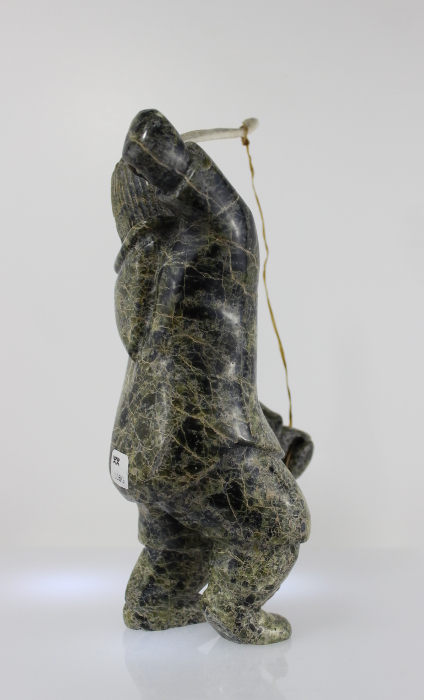 The serpentine hunter carved by Napachie Ashoona, is full of lovely detail. 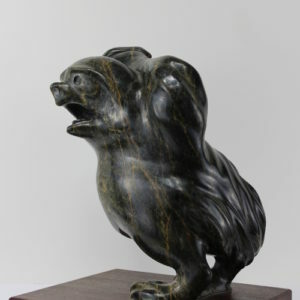 The stone used in the carving is beautiful, and lends a sense of texture to the piece. 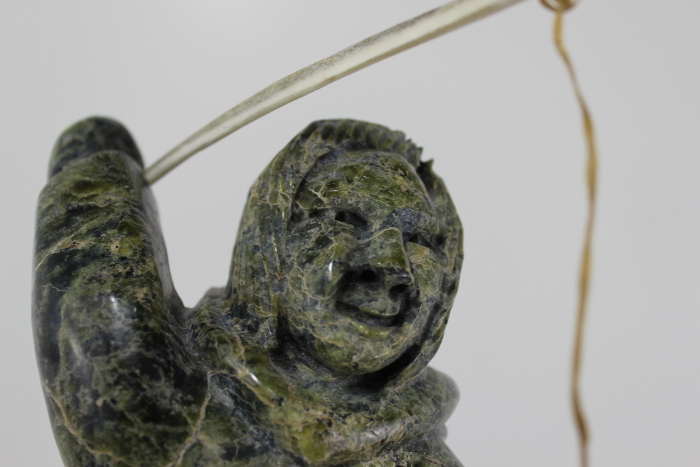 The detail in the face is great. 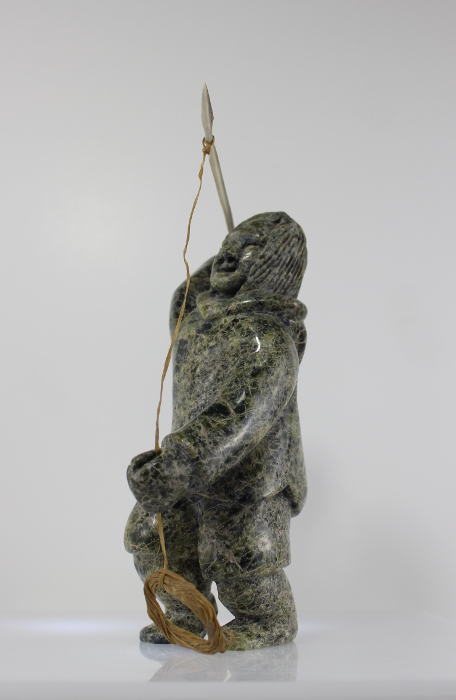 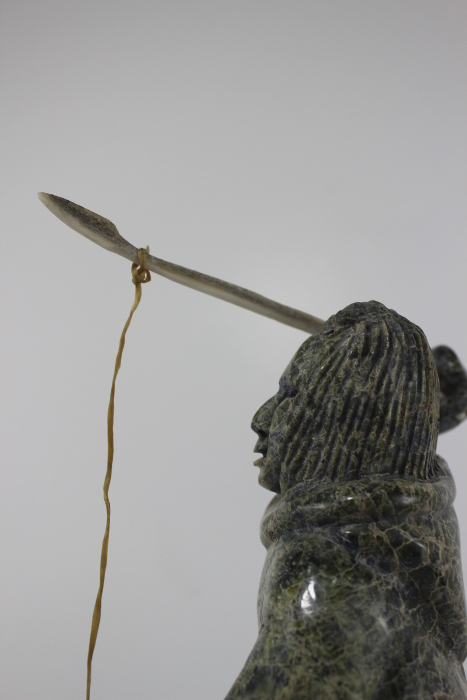 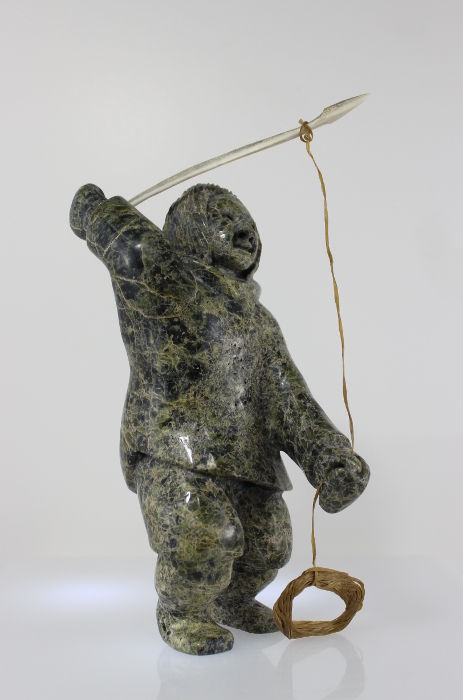 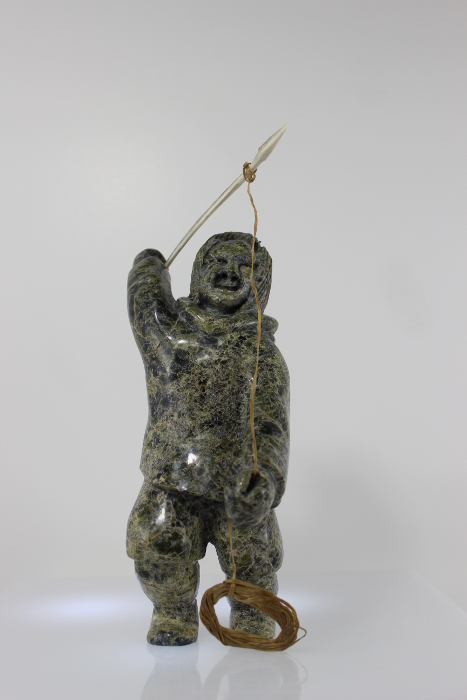 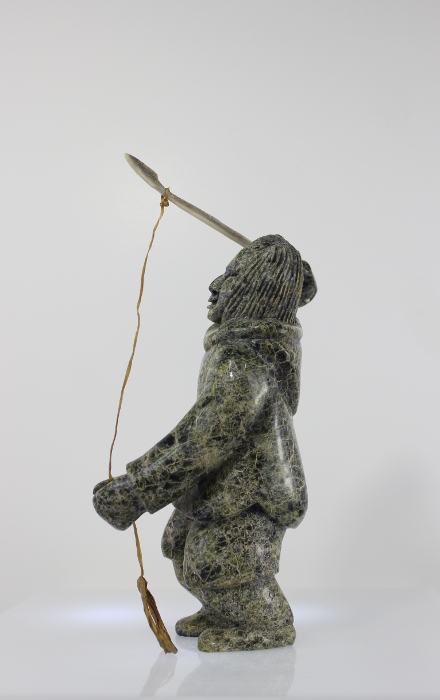 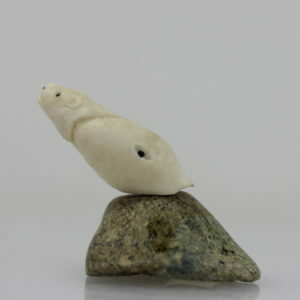 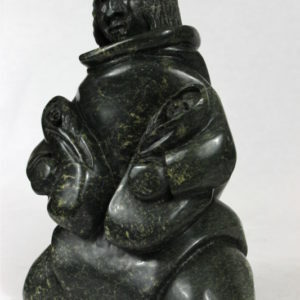 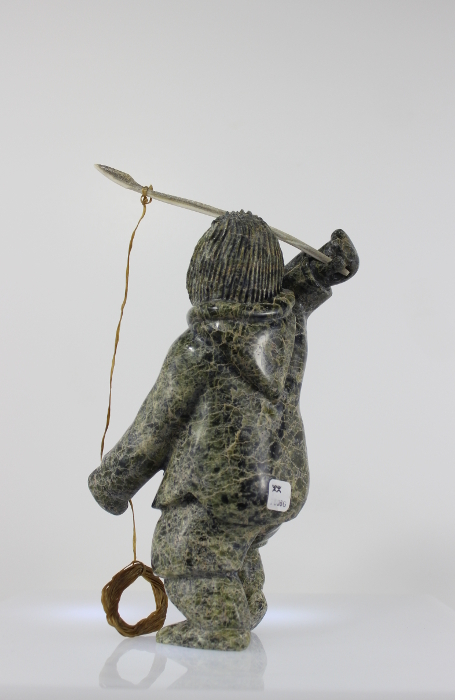 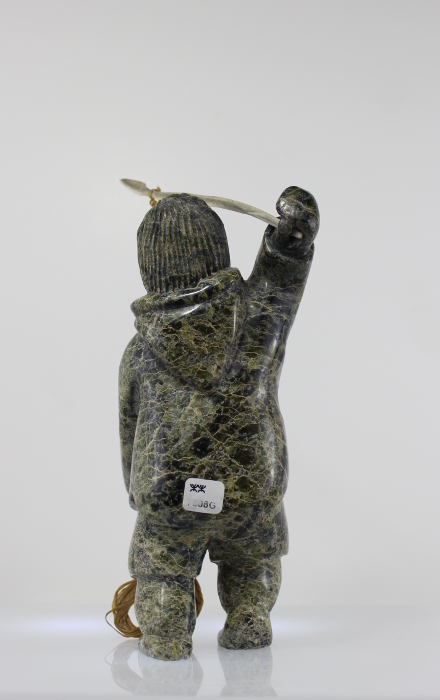 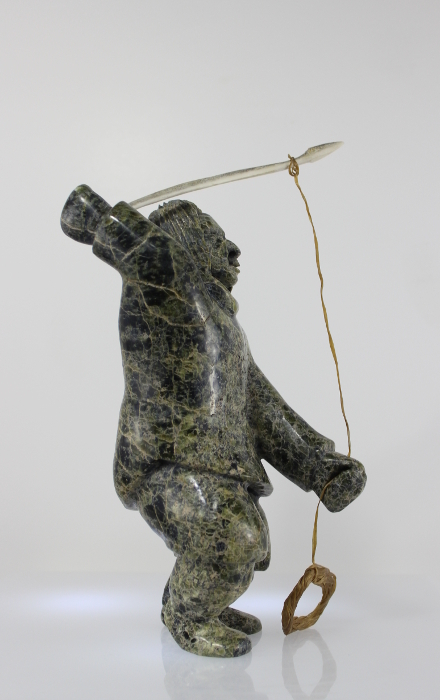 This is a fantastic piece of Inuit art that has a real sense of character.